WASHINGTON – Sarah Herve’s plan for the dozen volunteers she oversees every season at the Petrified Forest National Park is simple. “My goal is to treat volunteers so well that they don’t want to leave and always want to come back,” said Herve, a park ranger supervisor at the park west of Holbrook, where she has been working with volunteers since 2013. Those dozen are among 4,254 people who volunteered at 16 of the national parks in Arizona last year, donating 204,886 hours to help keep the parks running, according to the National Park Service. Those volunteer hours included all kinds of tasks, from orienting visitors to maintaining historical collections and monitoring wildlife. Nationwide, 315,000 volunteers worked more than 7 million hours in parks, historic sites, monuments and other sites, the park service said. It’s not always smooth sailing. The Washington Post reported this week that volunteers at the Chesapeake & Ohio Canal National Historical Park, stretching from Washington to West Virginia along the Potomac River, have been walking off the job, angry about their treatment by paid staff. 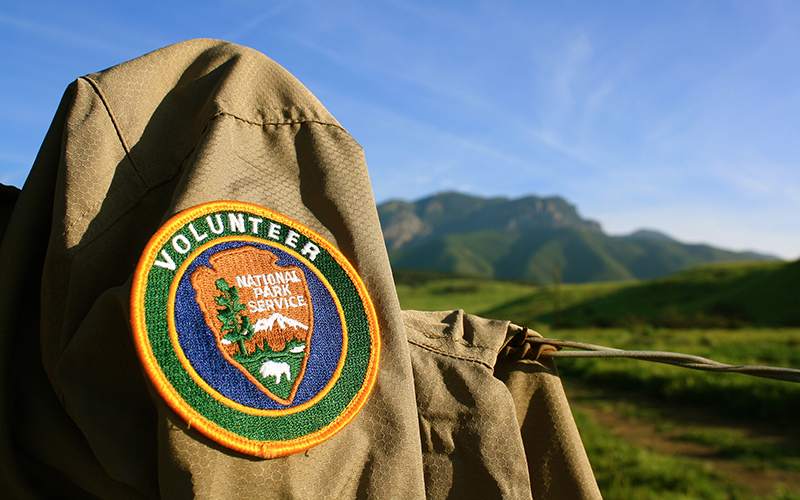 The National Park Service headquarters in Washington said in a statement this week that the service’s anti-harassment policy protects volunteers, as well as workers, contractors, interns and members of the public. That policy condemns “conduct, verbal or physical, including intimidation, ridicule, insult, comments” and physical aggression. It also says that “managers and supervisors who observe or are informed of allegations of harassing behavior” should report it, ensure a “prompt, objective and thorough investigation” and take steps to assure the problem is fixed and doesn’t happen again. Volunteers are also encouraged to contact their supervisor, or the regional and national volunteer coordinators if they have any issues, the park service statement said. Herve said she is not worried that news reports about problems for some volunteers will hurt applications at the Petrified Forest. She said she regularly hears positive feedback from her volunteers, many of whom have donated time elsewhere. “Volunteers are always talking to each other, and I’ve heard we have set a very high bar for them here,” said Herve, who tries to keep an open line of communication with volunteers during their service. “I usually try to have time with them before they come and tell them what to expect, and if there’s any concerns, I want to know right away,” she said. At most of the Arizona parks that responded to requests for comment, workers said they valued their volunteers and would be hard-pressed to operate without them.